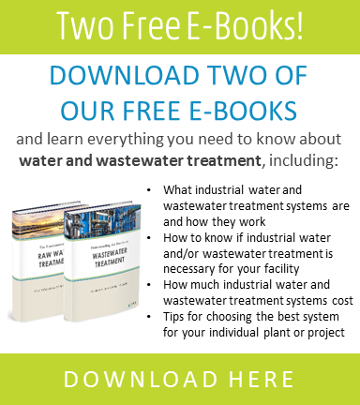 The results from treatability studies help determine how wastewaters might be properly managed, ensuring effective treatments are considered and/or implemented. These studies are especially useful for pinpointing exactly what contaminants need to be removed in addition to helping narrow down the ideal solutions. How quickly the treatability study turnover is needed will determine the manpower and equipment timeline required for completing a treatability study and implementing the solution. Sometimes a treatability study for a remedial event will be needed urgently, and the facility will want to be implementing the solution full-scale the next day or shortly thereafter. For example, let’s say a refinery or chemical plant that discharges to a municipal wastewater treatment (POTW) has a problem in their process and inadvertently upsets the city’s process. A treatability study and proper solution would be needed urgently. The company sought to provide the treatability study should be able to have someone respond right away to address the emergency. Also, because fresh samples of wastewater are often needed for evaluation, the company performing the treatability study might mobilize a laboratory on-site or ship specialized equipment to the facility’s lab to get the process started, so be sure to ask if they have the manpower to appropriately help with your issue based on the urgency. When it comes to the availability of remedial equipment, keep in mind that wastewater storage tanks, pump skids, temporary chemical storage tanks, and dosing systems, etc., can be rented until a permanent solution is engineered, thus allowing for an effective treatment process to be mobilized quickly as possible. Sometimes laboratory procedures might be similar to those used in other projects. For example, say a biological treatment plant has a bulking problem; there could be at least eight methods that may work to solve the problem and prevent a future occurrence. If these eight methods are being considered, then the question becomes “Which solution would be best for this particular customer?” A company that is cognizant of this will consider all options and give their customer the choice as to which solution they might want to implement, depending on project scale, timing, cost, etc. If the company is trying to sell your facility their in-house chemicals and equipment, then question their motives since there is likely more than one available solution and price to solve your wastewater treatment issue. Also keep in mind a facility might also have access to the solution already. Take a Transport Storage and Disposal Facility (TSDF) for an example; these facilities bring in wastewaters from all kinds of manufacturers. Say one of the facilities brings in wastewater from a chlorine manufacturer—the TSDF might store the chlorine in big storage tanks until they can figure out what to do with it. At the same time, they might have another stream that has a lot of sulfides in it, which are both highly odorous and toxic. In a situation like this, after running treatability tests, the facility may decide to mix the two waste streams and neutralize both problems at the same time. A company that is providing your treatability study might be able to offer such solutions to you, so again, be aware that there might be more than one fix to your problem than ordering chemicals and/or equipment, and be sure to be as thorough with what you have on hand and the type of solution you are looking for to get the best possible results. When you’re looking for someone to conduct a treatability study, make sure they understand what discharge regulations your plant is required to meet as they will be able to better understand the chemistry of the wastewater stream you should be aiming for. The company performing the study should also interface with your environmental specialists because they’re involved with the regulatory aspects. The treatability testing should be geared toward meeting or superseding the environmental requirements in a cost-effective manner. If this is not done properly, chances are you may incur heavy fines for not meeting these regulations . . . a financial and potentially time-consuming setback that can be avoided by completing proper testing up front. Historically, some companies offered treatability studies for free in an effort to sell their products, but more and more today there are costs associated with these services. When treatability fees are imposed, the rates can vary, but they typically comprise costs for manpower, lab resources, and the cost of the analytical work being done, so make sure you factor this in when you’re calculating your budget for the project. Costs can range from $1,500 for a one-day evaluation to over $40,000 for an extensive study of several applicable technologies, depending on the complexity of the contaminants, number of analyses, and requirements of the facility, so it’s important to ask about these potential costs up front. 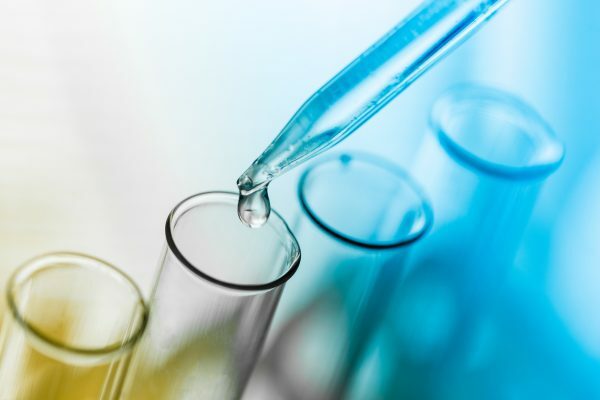 There is no better way of ensuring a system can meet your facility’s needs than conducting a wastewater treatability study in a laboratory setting. During these laboratory tests, SAMCO can analyze representative samples of your process and wastewater streams and evaluate the Best Available Technology (BAT) and Maximum Achievable Control Technology (MACT) applications for your custom solution. When necessary, SAMCO can also mobilize with on-site wastewater sampling, testing, and analysis and assist your facility in meeting Local, State and National effluent discharge guidelines including the USEPA National and State Pollutant Discharge Elimination System permits NPDES & SPDES, respectively) and Industrial User Significant Industrial User (IU & SIU) POTW issued permits. If you have any questions about whether you might need a wastewater treatability study, feel free to reach out to us to see whether we’re a good fit for you. We have a contact form on our website here where you can set up a call with our experienced chemists and engineers.